Alright. This assignment was both fun and a bit rushed. But here are my images. 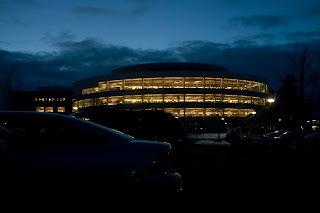 This was taken at 5.6 aperture, iso 400, with a shutter speed of 1/13th. What college student in their right mind hasn't visited the library once. This picture was lit by candle light. The settings were 5.6 aperture, iso 100 with a shutter speed of 2.5. 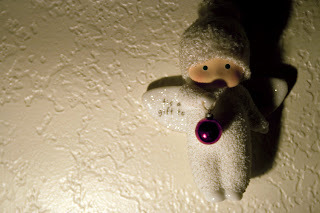 Megan McKouen collects angels. She received This one for Christmas from one of her dearest friends. This picture doesn't really fit this assignment but it is part of a series that I have taken for my final project. this is in the MPFD while the men are washing the trucks. 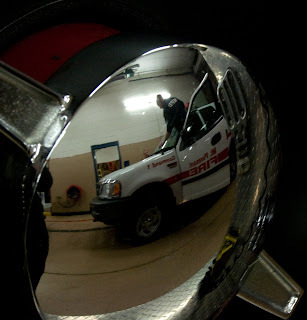 I was just looking around talking to the guys in the fire station when I just happened to see this refection of a valve on the adjacent truck.